Elaine Long was born in 1935 in Logan County, Colorado, where her great-great-grandfather settled with his family in 1875, and where her grandparents filed homestead claims in 1906. Her father worked as a hired hand for several small ranches in northeastern Colorado before moving the family to Timberlake Ranch in southeastern Colorado. On that ranch, Elaine learned to ride horseback, milk cows, run the separator, make butter and cottage cheese, garden, cook and can using a wood stove, iron with sad irons heated on that same wood stove, and help with all the chores expected of a ranch woman. Memories of those years include severe blizzards and loss of cattle when stock walked out on the frozen lake, broke through, and froze to death. In 1961 and 1962, she worked for her father on a small ranch northeast of Gillette, Wyoming. Her duties included riding roundup, riding fence, helping with calving, and branding. On visits to relatives' ranches in Montana and Wyoming, she helped with lambing and sheep shearing. A 1955 graduate of the University of Colorado, Long taught school in Portland, Oregon; Denver, Colorado; and Upper Heyford, England. She also worked as a copy writer and service representative for radio station KBOL in Boulder, Colorado and as traffic manager for radio station KKAR in Pomona, Californa. Long won her first writing award when she was twelve years old for an essay about a pig she had raised in 4H. She began writing professionally in 1966. Since that time, she has received numerous writings awards. Her work has been published in the United States and several foreign countries. Her writing includes short stories, novels, non-fiction articles and books, and the words and music for songs. She also edits both fiction and non-fiction for other writers. Two of her short stories have been published in anthologies (2002, 2003). Many more are presented in her new collection Writing Down to Silence (2015). Her latest novel, Bear Ridge was published in 2006 by University of New Mexico Press. Her non-fiction book, The Caregiver's Choice was published in 2008. Long's "hands-on" research for her mainstream novels about contemporary women in the American West has taken her from 70 feet down a mine shaft to 13,500 feet above sea level as the pilot of a Cessna 172, and from the lambing sheds of Montana to the bear dens of Utah. 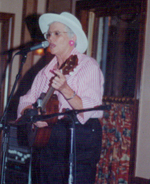 She is a singer and songwriter who has produced three CDs of her original, storytelling songs. 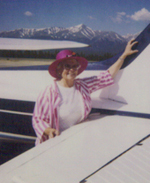 Long is a member of Western Writers of America, The Authors Guild, Colorado Authors' League, Aircraft Owners and Pilots Association, and is a founding member of Women Writing the West. She is listed in the 2016 edition of Who's Who in America. She has one daughter, a son-in-law, and a granddaughter. Now widowed, Long lives in Boulder, Colorado.